There is an old saying in business..."If you're not growing, you're dying." This has never been more true, and with the advent of the internet in the last 20 years, it has never been easier to achieve growth and prosperity for your business and your family. We offer a simple and effective plan for improving the marketing of local businesses, and we measure and monitor results on a continuous basis. Our approach to business relationships is very personal. We take time to understand your business, so that we can effectively develop an online plan to make sure that we achieve your goals. 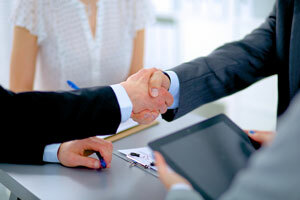 We work closely with our client partners to monitor results, to maximize what is working and eliminate what is not. We have a deep and personal knowledge of the exact 20 steps required to leverage the internet to drive customers to your business! We can achieve these results in 60-90 days in most niches, and we cover the spectrum in terms of the industries that we work with to achieve these results for. Our ultimate goal is to provide financial independence and more freedom to spend your time as you choose, two worthy goals for any hard-working business owner. Generating more leads is the secret sauce to grow and prosper your business, increase your revenue, and improve your bottom line! We are experts at this very thing. We optimize your website and provide all the tools to rank your business on page 1 of Google for the keywords, services, and products that you are targeting. Make your website stand out among your competitors, and fully optimized to outwork and outrank even your best local competitor. We have professional experts that will fully optimize your Adwords budget so that every click has merit and proper targeting. Facebook has taken over as the most cost-effective marketing platform in many spaces. We have a wide array of Facebook campaigns to funnel leads to your business. 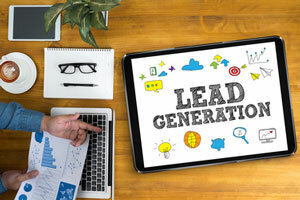 Lead generation is another specialty at WebForce. We leverage the power of local search to substantially increase your lead volume. Social media has become vital for every business looking to survive and prosper! We will show you how to connect it all together in a powerful, connected web for optimum social and online success. SEO is an often overused cliche. SEO is important, but there are more pieces to the pie to achieve Digital Dominance. Your website must be optimized for the the search engines, but so must your social profile and other components of your digital presence. 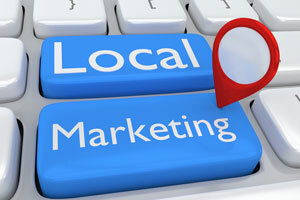 It's not hard to dominate local search...we'll show you how. Connecting your social profile to your website...herein lies the Dominance. We offer many options for additional lead sources through digital marketing. Call or email us today and one of our Digital Dominance experts will provide you WITH a FREE website analysis! A CUSTOM video on your website, as well as your TOP competitors - IN YOUR INBOX WITHIN 24 HOURS.